kevin medina | Badudets Everything Nice! How fast can you eat a 12-inch cheese flavored thin-crust pizza? The former record holder Peter Czerwinski consumed this in 41.31 seconds. 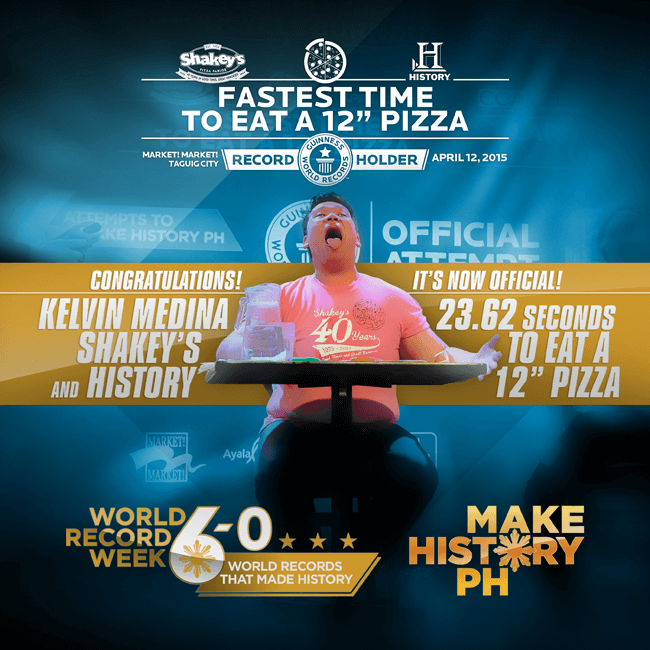 But did you know that Kevin Medina, a Filipino, is now the World Record holder for consuming a pizza in 23.62 short seconds? Whoa!